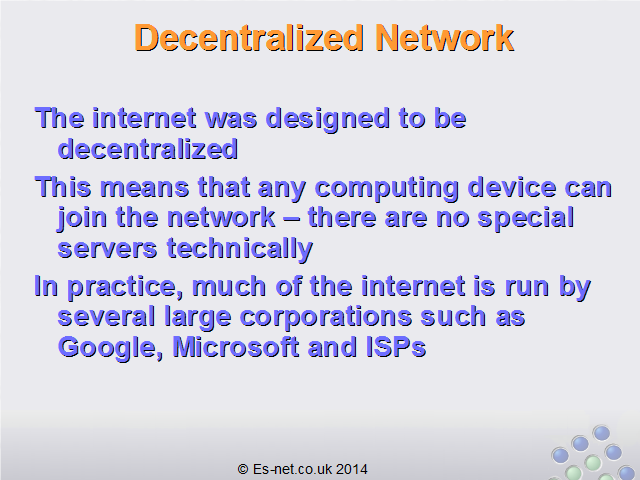 The internet is a network of computers which spans the entire world.The internet is a decentralized network – in other words, every computer connected to it is treated the same. 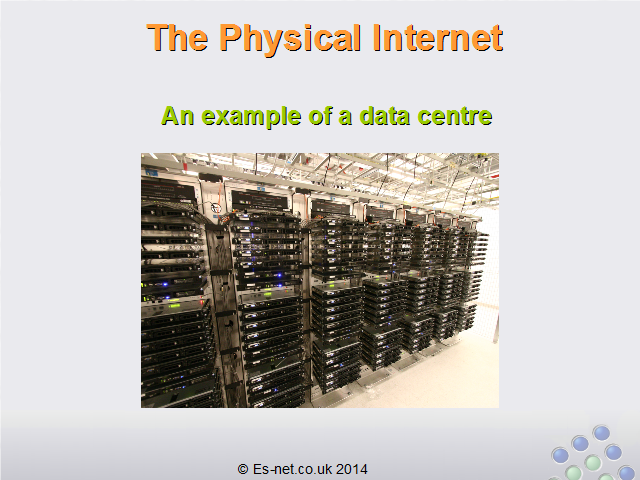 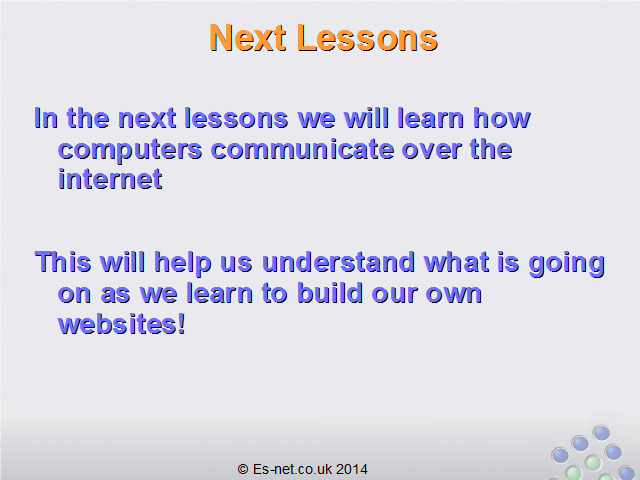 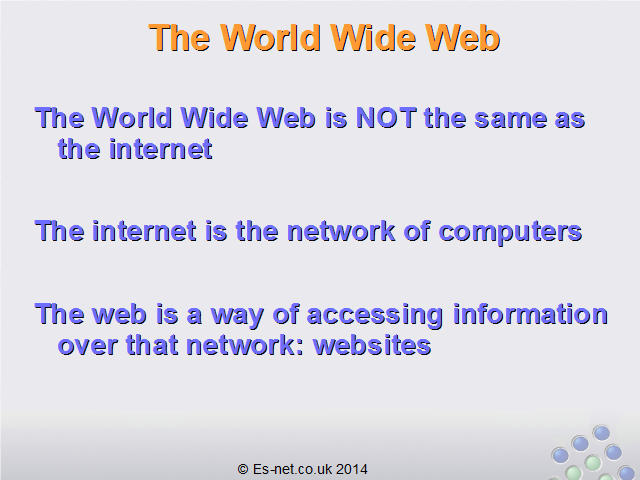 There are no special internet servers which control the whole internet, but some servers have a special role which we will discuss in later lessons.Computers which have content that people want to access are often called ‘servers’ because they serve up that content to other computers.In practice, the internet is made up of many (many!) 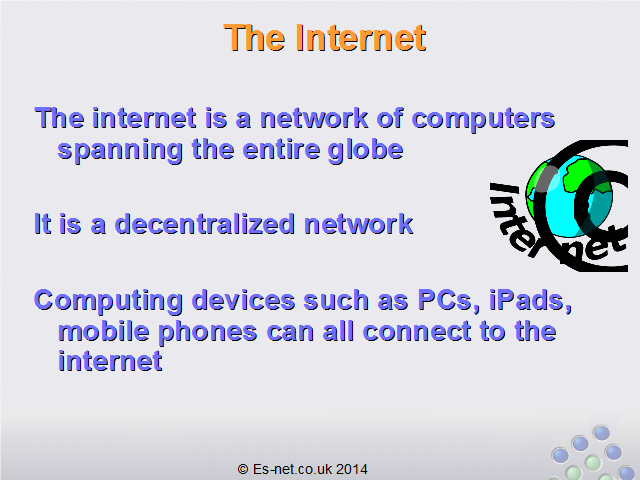 computers all around the world connected together by dedicated infrastructure. 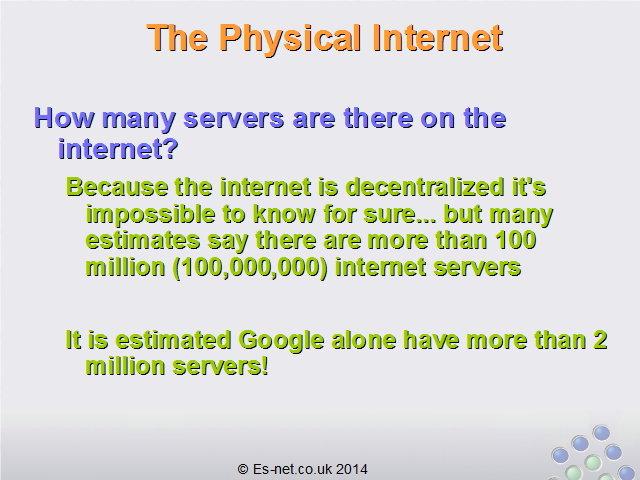 It is impossible to know exactly how many computers there are on the internet, but it is estimated there were more than 100,000,000 servers online by 2013. 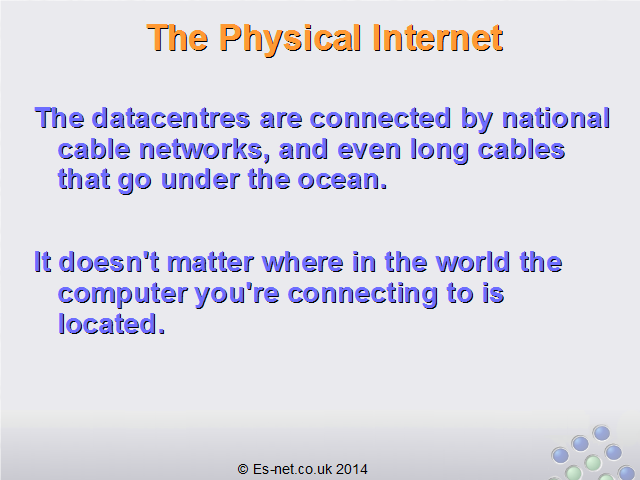 Imagine huge rooms filled with computers, joined by cables that cover every country and go under every ocean – that is what the internet is like physically! 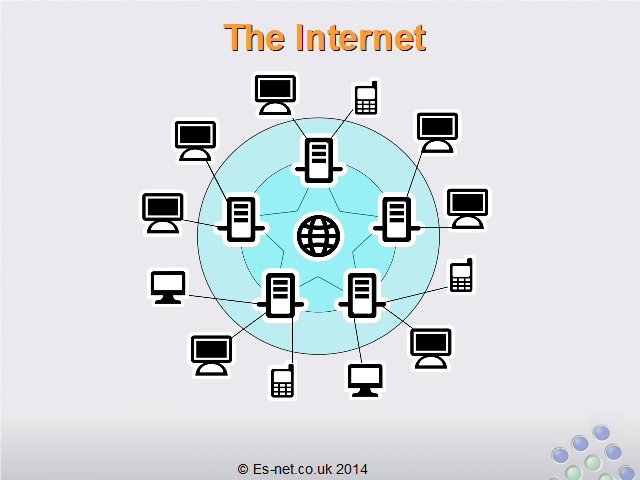 It doesn’t matter to us where the computers are or how we are connected to them – once you’re connected to the internet you can talk to any of the other computers.The internet isn’t owned or controlled by any one organization. 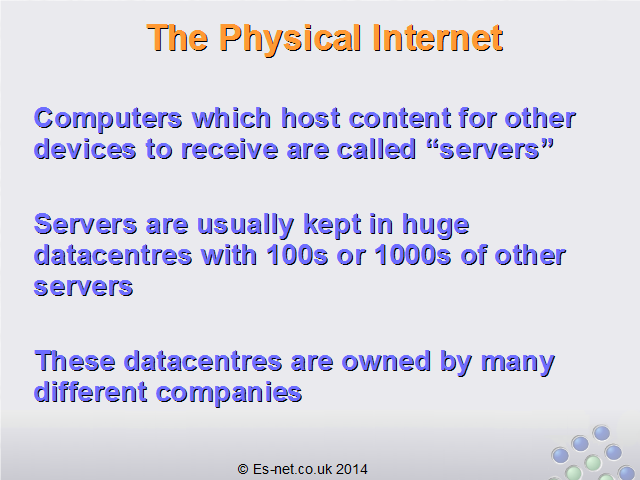 Many large organizations have a huge amount of servers they make available on the internet – for example it is estimated that Facebook alone had over 200,000 of their own servers in 2013, and Google have over ten times that number.